The question we continually circle around when examining this idea of a fantasy garage is 'What makes a fantasy car?' There are so many variables to consider; from the emotional impact, historical relevance, lusty body work, enviable performance, and so on, and so on. Certainly it is easy to rattle off a list of cars which blow the mind and bust the pocketbook, but developing a balanced palette of cars is no simple undertaking. You could easily fill warehouses full of dream cars slathered in history from the pre-war era and call it a day, but that's boring. Sometimes a car with absolutely no history, or even a bad history is just as outstanding. 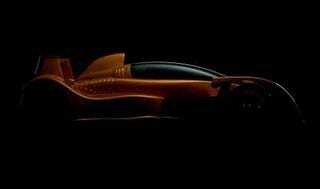 A car like the Caparo T1. It's almost pathologically rational that the Caparo T1 would spring from the same minds as those who developed the McLaren F1. A fantasy car to end all fantasy cars, it was posted on every middle school boys wall and lusted after in the glossy pages of the buff mags. For all its design and technical innovation though, the F1 was still a compromise. Sure it had a BMW V12 and exotic bodywork to match its unparalleled performance, but what if you peeled away that which was not necessary — distilled the car down to the essence of speed? This was the challenge Caparo's engineers presented themselves with. Beginning with an all carbon fiber race car-inspired monocoque, ex-McLaren engineers Ben Scott-Geddes and Graham Halstead led their team to build the T1 with parts which are nearly all adapted from their race form. The engine is based on a design raced at Indy; a 3.5L V8 which revs to a heady 10,500 rpm. The 575 HP mill is mated to a pneumatically actuated, carbon fiber and magnesium transmission. The transmission design alone speaks volumes for the kind of extreme level of no-compromise engineering which doesn't come from run of the mill Joes looking to cobble a car together, these are purists. Race car builders. The car even goes so far as to have swappable aero packages capable of customizing the performance for high speed, short, and long track racing. With a production weight of only 1025 lbs, the Caparo T1 embarrasses every other car on the road with its deft use of composites. You have to start talking about F1 cars to even be in the same league. In his review of the Caparo, Top Gear's Jeremy Clarkson points out the T1 has twice the power-to-weight ratio as the mighty Bugatti Veyron — twice! This isn't so much a car as a fighter jet missing its wings. Zero to sixty takes a mere 2.5 seconds. Zero to a hundred only 5 seconds. The car is capable of 2.5Gs at maximum aerodynamic effect. Of course, below the high speeds necessary to develop those forces, the huge power and light weight combine to create a car that is a handful — and rightfully so. If you were paying $350,000 for the ultimate road car, it better be fast as hell and punish you when you misstep. Its nice to see a product with enough swagger that it's unwilling to use electronic nannies to protect someone who's driving beyond their abilities. And thus we circle back around to this idea of 'What is a fantasy car?' If one fantasy is complete, unfettered performance, it's hard to imagine any road car ever exceeding the capabilities of the T1. If a fantasy car is one which is inspired and in turn inspires others, again, it is hard to think of a purer form or vision. If you were to ask what car will be looked at in retrospect as the primary influence for the next generation of supercars, we're willing to bet the Caparo T1 would be it. In form and function, brutality and performance it has no peers, and that is why it is a fantasy car.